With this value of universal access at its core, Aravind built its operational processes for volume, drove breakthroughs in low-cost technologies, and introduced a tiered pricing system where those who can afford to pay for its vision corrective services ensure the organization’s financial sustainability and subsidize the 55% of poor and extremely poor Indians who receive surgery for free. And this is not a couple of hundred people a year we’re talking about. Aravind conducts 15,000 outpatient visits and 1,500 surgeries per day. What government would not want to encourage these kinds of entrepreneurial approaches to creating public good? 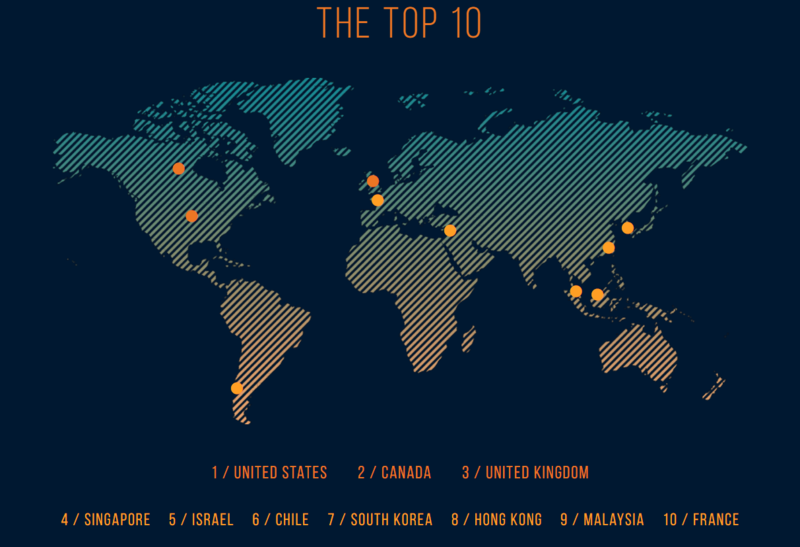 The Thomson Reuters Foundation, together with GSEN and UnLtd, unveiled this week a global perception poll identifying the world’s best countries for social entrepreneurs. The UK, the US, and Canada topped the list, and Kenya and Chile emerged as social innovation hotspots in the global south. While this is the good news, 60% of respondents across the 45 nations surveyed felt that the growth of social entrepreneurship in their country is hampered by a low understanding of the sector. This is not surprising. As neither conventional businesses nor traditional charities, social enterprises blur existing boundaries and “fall through the cracks” of existing policy frameworks, forcing them to navigate a multitude of challenges along their path to scale. Corporate legal forms do not recognize dual-purpose business models, for example, and tax systems rarely distinguish between companies that benefit society and the environment and those that damage it. Overcoming these challenges is vital to moving beyond the goodwill of individuals and delivering on social entrepreneurship’s promise as a sector, and it simply will not happen without catalytic government support, as the Schwab Foundation for Social Entrepreneurship outlined in its framework for government action entitled. Leverage your convening power. Social enterprise crosses many sectors, industries and bureaucracies; a crucial role government can play is breaking down the existing silos that prevent growth and promoting the generation and sharing of ideas. Engagement can take various forms, from catalytic gatherings to longer-term initiatives, but a unifying component to any policy is the development of structures that allow communication and coordinated action between investors, entrepreneurs, civil society and policy-makers. Let social entrepreneurs advise you, not the other way around. Your most important job is to really understand how these business models work and what social entrepreneurs actually need. It is incredibly hard to create business models that serve poor people cost-effectively, otherwise this would have happened by now and we could all celebrate victory! Changing behaviour is hard. Measuring outcomes (not outputs) is hard. Going up against vested interests that are not held accountable for providing inferior products – that’s really hard. Resist the temptation to launch a start-up competition. Sometimes it feels like everyone I know wants to launch a start-up competition. Really? Why? The amount of staff time and resources that must be invested in managing application processes, devising a communication plan, organizing an event where the winners are announced…well, you get the picture. They usually dwarf the amount of resources devoted to the start-ups themselves, which in their early stages need an intensive amount of hand-holding – something that many defunct start-up competitions found out the hard way. Experiment with procurement mechanisms. Government procurement sounds about as exciting as watching paint dry, yet it is probably the most powerful and underleveraged tool in a government’s toolkit to direct resources at organizations that have a proven track record of creating superior outcomes. Procurement systems in most countries are set up to favor conventional approaches and existing relationships, i.e. large, longstanding government contractors that provide traditional services. For that reason, according to Schwab Foundation Social Entrepreneur John Sargent, the Co-Founder of Broadreach Healthcare, “It’s incredibly hard for social entrepreneurs to break into those government funding sources unless there is an explicit emphasis on experimentation and opensourcing.” Mechanisms such as open competitions to solve a specific social problem are a great way to break through the procurement logjam and bring in new and innovative ideas and partners. Katherine Milligan is the Director of the Schwab Foundation for Social Entrepreneurship , the sister organization of the World Economic Forum.The Schwab Foundation manages the largest late-stage network of social enterprises in the world. The Schwab Foundation defines social entrepreneurship as innovative, practical, sustainable, market-based approaches that achieve transformative social and/or environmental change, with an emphasis on underserved populations. Learn more about the principles of social entrepreneurship and our selection criteria .